Facebook is taking steps to reduce the reach of sensationalist and provocative content. In other words, Facebook’s news feed algorithm will be demoting what’s commonly referred to as clickbait. This was announced in a blog post written by Mark Zuckerberg in which he details the ways Facebook will be dealing with problematic content going forward. 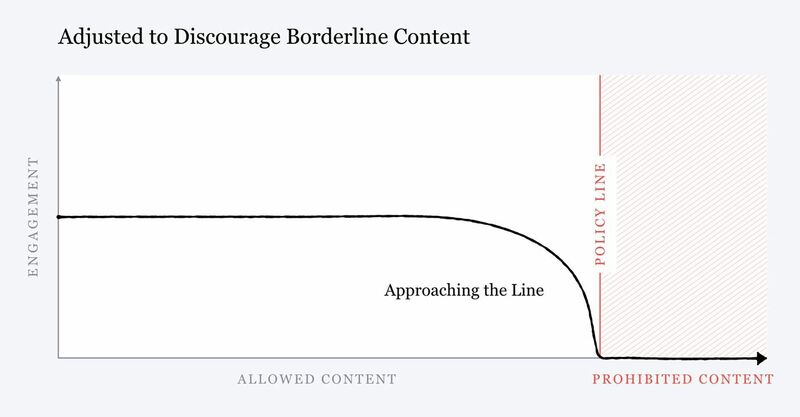 Zuckerberg refers to clickbait content as “borderline.” It doesn’t quite break Facebook’s rules, but it does lead to a poor experience for users. Users engage more with borderline content compared to other types of content, Zuckerberg says. Even though users express that they don’t like the content they will keep engaging with it. The solution Facebook has come up with is to demote borderline content. Facebook will utilize AI systems to detect borderline content so that it can be featured less in users news feeds. These distribution changes will also apply to content shared in Facebook groups. Zuckerberg says his company determined that reducing the reach of borderline content is the best solution, rather than changing the rules on what is allowed to be posted. Going forward, publishers need to be careful that their content doesn’t come across as sensationalist or it may be penalized. When writing an article, for example, make sure the main content delivers on what people would expect after reading the headline. Get our daily newsletter from SEJ’s Founder Loren Baker about the latest news in the industry!